Poets in Nigeria (PIN) has released the shortlist for the 4th edition of PIN Food Poetry Contest. A statement by Kolade Olanrewaju Freedom, the moderator of the contest, listed ten shortlisted poems from the 228 entries received. Poems were assessed based on thematic relevance, aptness of language and originality. • Friendship – Ifeanacho MaryAnn U. 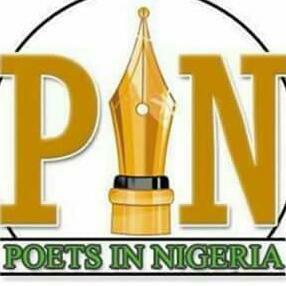 Three wining poems will be announced on Sunday 10th December, 2017. 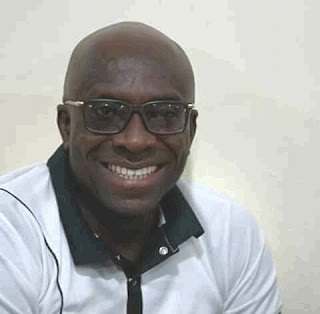 Winners will earn cash prizes totaling ₦50,000. 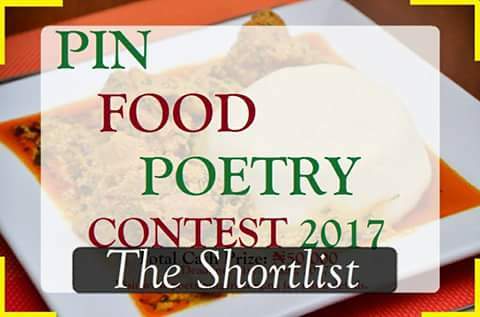 The PIN Annual Food Poetry Contest (initiated in 2013 as Eriata Oribhabor Food Poetry Contest) has produced four grand prize winners, Estrella Gada (2013), Mabel Okpaefi (2014) and Adedayo Adeyemi Agarau (2015). Just discovered I was shortlisted for this. Was never notified.